The Greenpeace ocean campaign team tests a unique way of taking over Twitter to capture the global conversation about oceans. The Greenpeace oceans campaign team embraced a unique opportunity to catch the attention of U.S. Secretary of State John Kerry and open up conversation around the country’s position on high seas protection. The main strategy? Mimicking and overtaking conversation on Twitter, where Kerry is an active user. The U.S. Department of State’s Our Ocean Conference in June focused its engagement efforts around Twitter, having hired a former Google executive who promoted a Twitter Thunderclap and hashtags for the conference and projected a live-stream of tweets on a wall inside the event. 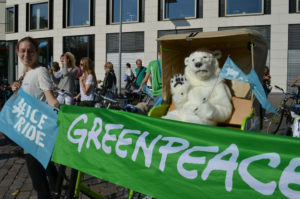 Greenpeace saw an opportunity to develop campaign strategies that relied more heavily on digital media, given the conference’s investment in this area, but still incorporated key on-the-ground efforts. 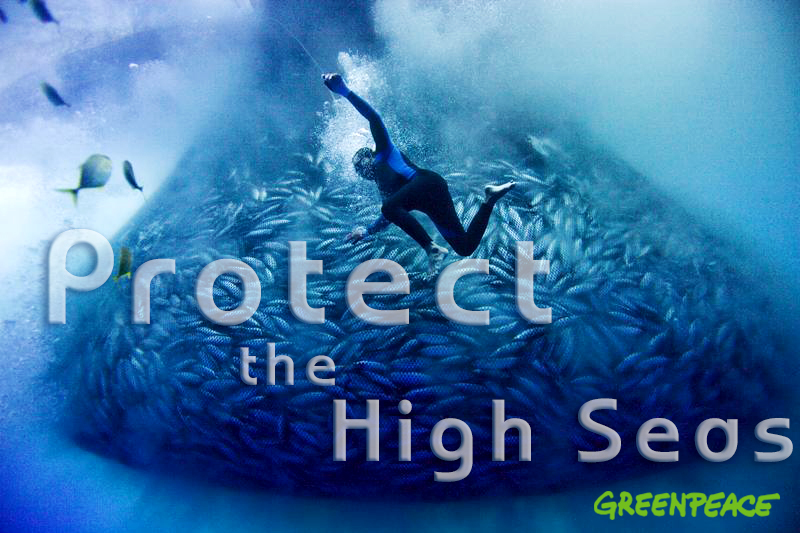 Greenpeace created shareable graphic tweets for its supporters to amplify during the oceans campaign push. The impact of the Twitter push combined with complementary offline actions was “eye-opening,” says Greenpeace U.S. senior oceans campaigner Phil Kline. “It was a very strategic combined campaign of online/offline activities, from banners to postcards to tweets to petitions to Facebook postings,” Phil says. With the conference based in the U.S., the Greenpeace U.S. team led the effort and felt the need for global support, which was realized, says Greenpeace USA senior online strategist Rebecca Gerber. Over a normal weekend, Kerry is mentioned 3,000 to 6,000 times on Twitter. If Greenpeace supporters had 30 percent of tweets related to Kerry over World Oceans Day weekend his social media staff would likely take note, says social media campaigner and coordinator Chris Eaton, who was brought onto the Greenpeace team for this effort. On World Oceans Day (June 8, 2014), Greenpeace surpassed its 30 percent goal with about 40 percent of the total day’s @JohnKerry tweets (3,856) relating to the campaign. Factors for success included timing the effort on a low Twitter traffic day, getting many Greenpeace offices involved, creating high quality tweets to retweet and Greenpeace USA asking petition signers to get involved. When more than 2,000 Greenpeace supporters signed onto its Thunderclap it surpassed the conference’s Thunderclap numbers. Greenpeace planned a parallel “Thunderclap” with a goal to surpass the conference’s Thunderclap and attract the organizer’s attention. The Greenpeace Thunderclap, which was timed to go off at the same time as the State Department’s Thunderclap, reached more supporters (2,022 vs. 1,810) — which felt impressive as it seemed like a stretch goal, says Rebecca. 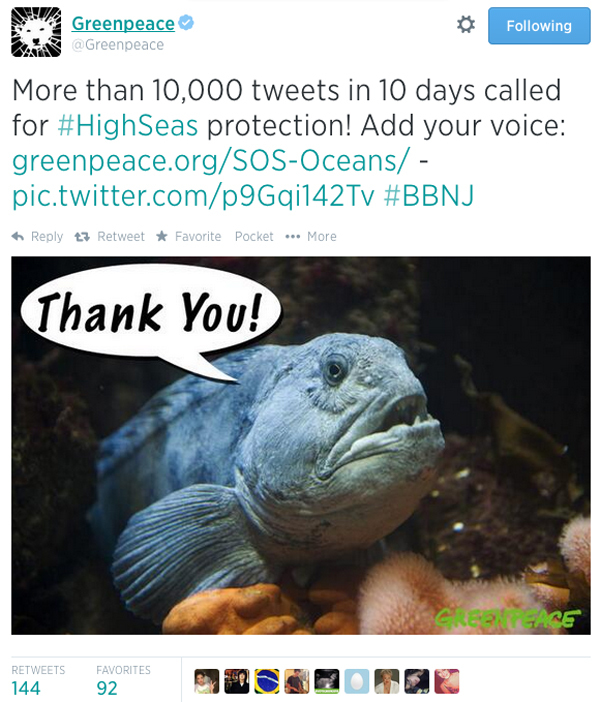 Several oceans campaigners focused on live-tweeting during the conference, and Chris worked to ensure they were amplified by the Greenpeace International and Greenpeace USA Twitter accounts. These efforts helped draw conference attendees and other NGOs into the conversation. “Several other NGOs joined the Thunderclap and kept tweeting about our issue, high seas sanctuaries. By having an objective, a rallying point of the Thunderclap, we were able to draw in important NGO allies, our own national and regional Greenpeace offices, supporters, and others into the conversation,” says Chris. 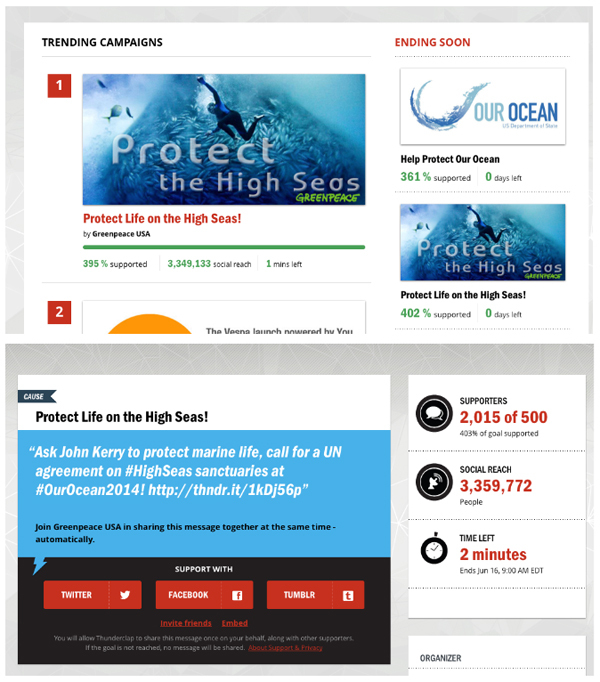 People continued to tweet using the high seas hashtag and discuss ocean sanctuaries even after the Thunderclap. More than 10,000 tweets and retweets as well as 40,000 signatures calling for a U.N. agreement to protect the high seas were generated in June. Thousands of online supporters people tweeted their support from 14 countries and 10 Greenpeace offices. Social media analytics tool Topsy was used to monitor online conversations. A sign of success in terms of reaching, and perhaps even annoying, the Our Ocean organizers is that a live tweet projection wall at the event filtered out tweets related to Greenpeace’s high seas campaign. As part of the ocean campaign push, prior to the conference Greenpeace activists also delivered postcards to U.S. embassies with a “Dear John” theme asking Kerry to take action on the high seas issue at the U.N. The theme played well with an American audience; however it may have not been as well understood by supporters in other countries. Other Greenpeace offices participated by sending postcards as well. A U.S. petition launched and promoted by the Greenpeace U.S. online team a week prior to the Our Ocean Conference generated more than 30,000 signatures. An ongoing global petition – the SOS (Support Oceans Sanctuaries) – received an additional 7,000 to 10,000 international signatures. A meeting of the U.N. Biodiversity Beyond Areas of National Jurisdiction (BBNJ) working group related to high seas took place the same week as the Our Ocean Conference. 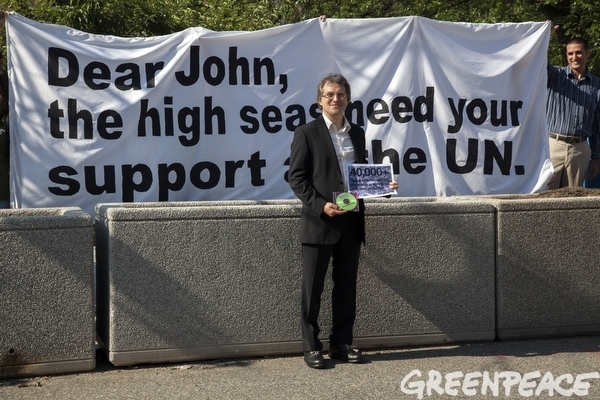 On a morning of both the conference and BBNJ meeting the actions team made a banner stating “Dear John: The high seas need your support at the U.N.” Greenpeace volunteers stood outside the Our Ocean Conference entrance at 8 a.m. with the banner. Many delegates thanked them for being there and expressed their support for the message, says Phil. Delegates shared that as people picked up their name badges inside most of the talk was about Greenpeace’s presence. A couple of women showed up for the banner activity, having learned about it on Greenwire — a new online platform for Greenpeace volunteers to start groups, host events, share media and run campaigns. 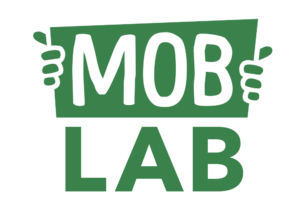 It is significant that the activists were able to get more deeply involved in the campaign because of the new volunteering platform, and this was the first time Phil had seen someone join an offline activity from an online forum, he notes. Daniel Mittler holds a disk containing over 40,000 signatures that urge Kerry to support high seas biodiversity protection. Greenpeace wanted to deliver the signatures personally to one of the senior leaders at the Our Oceans Conference. Daniel Mittler, Greenpeace International political director, was the only Greenpeace representative inside the event; he handed them to William Gibbons-Fly, a Senior Director State Department, who promised to get them to Kerry’s team. The U.N. BBNJ meeting group is looking to recommend by 2015 whether the General Assembly should move forward to negotiate a new annex to the Law of the Sea. Sofia Tsenikli, senior oceans policy advisor at Greenpeace International, attended the U.N. BBNJ working group meeting at the U.N. headquarters in New York. Sofia shared that while governments and representatives in the room were meeting to discuss the future of the high seas, Greenpeace volunteers and activists were raising a banner outside the State Department asking the U.S. to change its position, with thousands sending messages to Kerry. Greenpeace put up a small board outside the meeting room with pictures of the “Dear John” letter embassy visits, copies of supporter tweets and a picture of the banner at the State Department. The board was intended to bring the action into the meeting, and many delegates looked at it and read the tweets, Sofia says. More than 10,000 tweets and retweets and 40,000 signatures calling for a U.N. agreement to protect the high seas were generated in June. There was also a sense that the meeting’s delegates were emboldened because of the messages Greenpeace relayed for its supporters. A key opponent was openly challenged by an NGO and supported by Greenpeace, Sofia says. “That created the atmosphere of ‘yes, there is a space to be stronger.’ There were a lot of new voices from developing countries in the room which we clearly supported, and I think felt empowered, at least indirectly, by the fact we were challenging the United States and their position,” she says. Bringing the voices of Greenpeace supporters into the meeting “empowers us and really strengthens our position as NGOs,” says Sofia. When discussions become heated and closed door meetings happen, organisers are not only closing the door on NGO representatives but also on the many thousands of people those organisations represent, says Sofia. This is the powerful part of mobilising people and reminding governments they are accountable to their citizens, she adds. This campaign push demonstrates how, under the right circumstances, small actions from people around the world can add up to a much larger result. “It shows participating in a Twitter storm or retweeting something as part of a larger global conversation … can have (a large) effect, so that was inspiring,” says Rebecca. Greenpeace International oceans campaigner Veronica Frank says the campaign push was a learning curve for the team. It was the first time this campaign invested in social media strategies to directly achieve campaign objectives, and the team changed its strategies close to the conference when Chris was brought on. “(Social media is) definitely something we want to implement more and more and get better at,” Veronica says. The oceans team is already thinking about how to incorporate more digital media strategies in upcoming campaign pushes. It was “amazing” to see the response, and be able to catch the attention of the State Department in a way the organization hasn’t before using other strategies – especially offline, she notes. Greenpeace has learned that the U.S. is reconsidering its position at the U.N. following the Our Ocean event. Social media expertise: The success highlighted the value of having a social media specialist on the campaign team to focus on strategy and coordinate complementary online and offline campaign activities, Phil says. Live-tweeting during the Our Ocean Conference: Daniel Mittler tweeted from inside the room, while several oceans campaigners tweeted from outside the conference and other team members were retweeting. Having campaigners doing a lot of the tweeting was successful, says Chris, rather than digital staff who tend to be a few steps removed. Setting objectives: Chris used social media analytics tool Topsy to measure the conversation through keywords, hashtags and Twitter handles. He monitored the overall volume of conversation, how many people were mentioning Kerry as well as using the hashtag #OurOcean2014 and #HighSeas. This helped determine what Greenpeace needed to do to be noticed in the conversation. Rallying around one social media platform: the Thunderclap provided an easy rallying point and focus on Twitter. But Chris notes it didn’t stop there, as people continued the Twitter conversation about high seas after the Thunderclap was over. A call for user-generated content had low response. 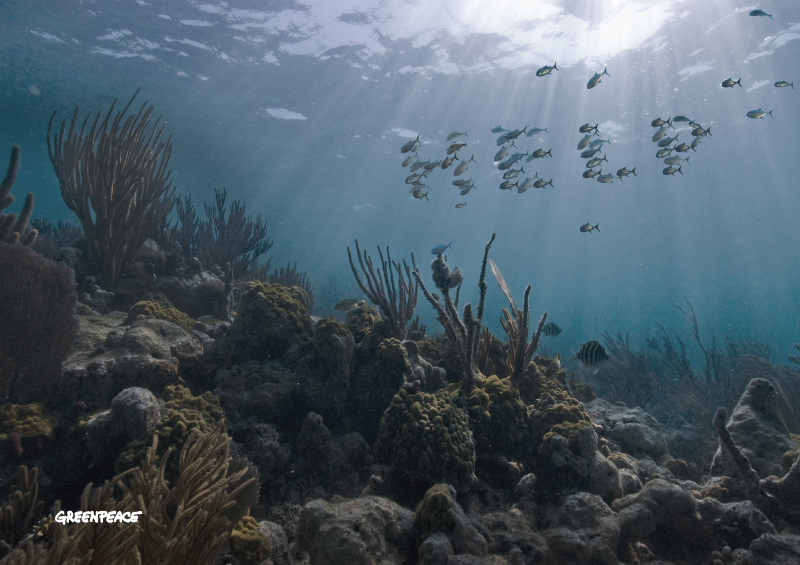 A request for supporters to tweet photos sharing their own favorite memories of the ocean fell flat. For another time, Chris says he’d be sure to have a solid audience in mind and a very clear ask, and engage Twitter users or volunteer coordinators to participate. Taking time to ground the conference in more of a global narrative that is widely applicable.Among the things Chris suggests could have been done with more time are framing the campaign earlier with a global ask and having content for people to sign onto the SOS petition; making room for Greenpeace offices to pitch their own ocean campaigns; and then moving into a hyper-focused Kerry campaign. The “Dear John” angle also didn’t work particularly well outside the U.S.
Expect Leonardo DiCaprio. Greenpeace’s plans to dominate the Twitter conversation had a change in course when famous actor Leonardo DiCaprio tweeted from the Our Ocean Conference. His tweet changed the volume of conversation, skewing Greenpeace’s social media analytics. A lesson for Greenpeace campaigners is to always expect that other people in the conversation may have a celebrity like DiCaprio in their back pocket who creates content that “goes crazy” and changes the conversation, says Chris. Greenpeace did a good job of creating shareable graphic content – but team members feel they could have done more. Ideas include creating more fun, locally applicable content that benefit office’s digital objectives (i.e. list growth); having more easily translatable content; and producing more high quality content that gets retweeted.